This November, Hauser & Wirth Somerset is honoured to unveil an intimate retrospective by Britain’s most celebrated photojournalist, Don McCullin. The focused exhibition will present a culmination of work spanning the photographer’s career to date; from early beginnings in North London to extensive social documentary, unsparing war reportage, haunting Somerset vistas and contemplative still lifes. 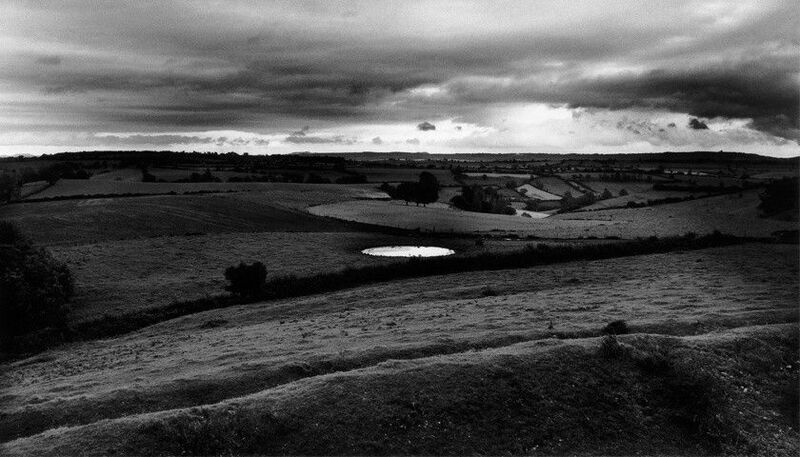 The retrospective will map over five decades of visual history, bringing together a broad selection of McCullin’s most powerful and unforgettable images, alongside a series of compositions of the Somerset landscape he calls home. In addition to his photographic oeuvre McCullin will present a collection of personal memorabilia acquired throughout his lifetime, featuring the Nikon camera that notoriously saved his life from a sniper bullet during the Vietnam war. The comprehensive showcase will present a chronological selection of the photographer’s most poignant and best known reportage. The exhibition commences with a selection of the photojournalist’s early professional photography, featuring his first published image in The Observer dating back to 15 February 1959. ‘The Guvnors’ was taken in Finsbury Park and marked the start of McCullin’s passionate documentation of London gang culture and impoverished urban Britain throughout the sixties and seventies. His work during this time created a harsh spotlight on the reality of life post-war, including the stark landscapes of the industrial North, the increasing unemployment and homeless levels in the capital and growing unrest across the country. Don McCullin has witnessed some of the most harrowing humanitarian disasters of the last half century, having covered every major conflict in his adult lifetime. His assignments included: the Vietnam and Biafra War, Northern Irish ‘Troubles’, the construction of the Berlin Wall, the Lebanese civil war, Belgian Congo, the Russian invasion of Afghanistan and the fall of Phnom Penh. Never one to grow complacent, the veteran war correspondent travelled, alongside The Times journalist Anthony Loyd, on his latest assignment to cover the war in Aleppo, Syria at the age of 77. McCullin’s war documentation is undisputedly his most famous, obsessively drawn to the brutality of combat and its savage aftermath his images have adorned national newspapers and international magazines, contributing significantly to the widespread growth of anti-war feeling across the country. In 1977 he was appointed a Fellow of the Royal Photographic Society and in 1993 he became the first photojournalist to be awarded CBE. Having immersed himself in many of the most remote regions of the world, McCullin’s interest in travel and primitive communities has naturally encompassed a large proportion of his professional profile. The photographer has dedicated a lot of his personal time to far-flung regions of Africa, India and the Middle East. Between 2003 and 2004, McCullin travelled from Addis Ababa in Ethiopia to the valley of the Omo River leading down to the border with Sudan. For the last two decades McCullin has turned to look at the land around him, namedly the Somerset village in which he was evacuated during the Blitz. Often referring to the sweeping rural landscape as his greatest salvation, the accomplished photographer demonstrates the full mastery of his medium with stark black and white images resonating with human emotion whilst retaining the honesty and grit synonymous with his earlier works. ‘For me photography was originally nothing to do with war, it was to do with the beautiful’, Don has stated when asked about his diverse practice, and with these powerful compositions of wild heavens and flooded countryside he has finally come full circle and able to seek redemption in his surroundings.